A gaming rig may not reach its full effectiveness if its monitor is mediocre. 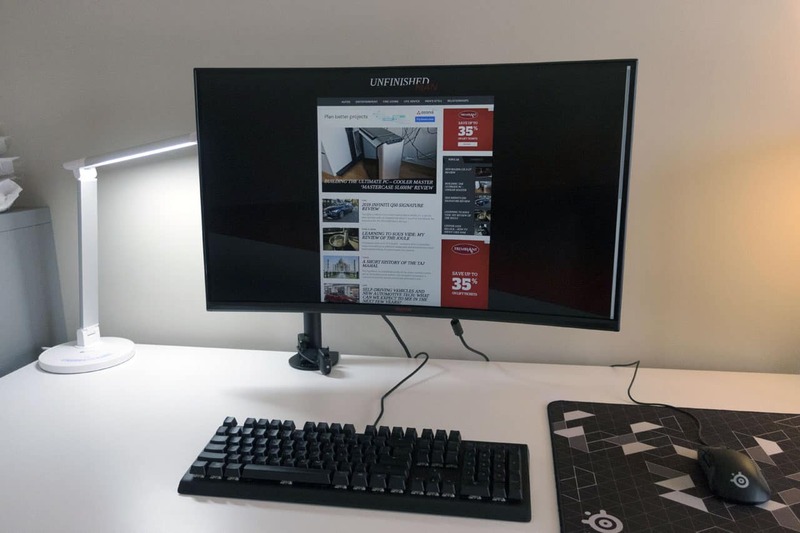 While everyone raves about which graphics cards are the best or which processors one should buy, people may overlook the humble monitor in the decision process. Without an equally powerful monitor, you may not fully appreciate what is in front of you. Those who want the full experience of a powerful rig, you also have to invest on a monitor that can match its capabilities. Our recommendation is the very impressive Viotek GN32DR Curved Gaming Monitor. First of all, why the emphasis on monitors? For those wanting a gaming rig, the monitor is just as important as the hardware inside the PC. While the GPU, memory, and processor act as your PC’s backbone, the monitor adds enhancements in the visuals. No, we are not talking about resolutions, colors, or the size of a monitor’s screen. The key to most modern monitors is their refresh rate. The Viotek GN32DR gaming monitor provides a 144Hz refresh rate. Here is why it is important. Refresh rate determines the number of times per second the monitor refreshes the image onscreen. It directly affects the visual experience in most modern games. A higher refresh rate provides a crisper fluid motion visually. A proper monitor is the main difference between playing a game at a maximum 60 frames per second, to as high as over 200 frames per second. It does not matter how powerful your GPU is. If your monitor only has a maximum capacity of 60 FPS (at 60Hz), you are doomed to only play at that locked rate. At higher rates, actions onscreen have more seamless transitions, instead of the lag-like effect lower ones offer. The next question you may ask is about the shape of the Viotek GN32DR. Curved monitors are gaining a lot of popularity in recent years, and the reason is simple. They offer a wider field of view, creating a more immersive experience for players. This, combined with large screens, give the game a completely new life – one you can easily get lost in. This makes the game look larger than it is. When you see a flat monitor, all you see is a rectangle containing the game. With a curved one however, you see a portal to another world. Those wanting to experience the game as if they are living in it should look no further. The last piece of the puzzle is the Viotek GN32DR’s stand. Aptly named ‘Rage Proof’ battle stand, it has three pods that make sure your monitor stays in place. No matter how the table shakes, or if something bumps into it (like a pet), it can keep steady. This can ensure a longer lifespan, as damages from falls can often mean the end for the monitor itself. The stable feature protects the screen and prevents any accidents from happening. This can be a selling point in itself for those wanting stability while playing.